Like you see, Pokemon Secrets and Rumors post includes parts: Description (Story/Plot included in this part), Screenshots, Images, How to download. If some trailers are not available, we will add later. 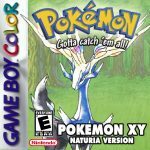 A Pokemon ROM/Game hack by Skeetendo, Inc using Pokemon Gold Codebase/Engine in English. It is available to download now. The last update happened on January 24, 2018. Pokemon Secrets and Rumors will be one of the most interesting Pokemon Gold hacks ever with many crazy plots hidden inside. Basically, it takes place three years before the events of Pokemon Gold and Silver. And when you realize that these events are none other than Red/Blue/Yellow… you are right. But this game is not those famous names, you can consider it as a small remake. The story will be familiar with the classic story of Red somehow, but it is still different a little bit. For example, you will become Red even before leaving the legendary Pallet Town… that is the part to start the new stories of this game. All events from major to minor are completely re-scripted. Many new Pokemon which never appeared in the original version before. A new Region is waiting after finishing Kanto Region. New abilities and new TM/HM list. In the new Region, there is a new Evil Team. Some cameo appearances of many characters from other Pokemon games.